Rocket Ride is a good example of a band having fun with music and damn what anyone but them think. There are two songs that delve back into their PowerMetal past but aside from that this album is straight out rock and hard rock. Edguy has never been a band that bent to what fans wanted. The have always put out releases and hoped you liked them as much as they did. If not, oh well, maybe next time. Rocket Ride is this sort of album tenfold. There are ultra-cheesy lyrics that are not meant to be taken seriously, some of the goofiest voice effects used in Metal, keyboard sounds that were new to the ears in the 1970’s and 1980’s, and one of the sappiest ballad’s ever written. But, it sounded fresh to the ears because no-one was doing music like this anymore. Some fans detested the album and some loved the daringness of it. Whatever the case is, it is still well written music fined tuned with the ears of a band that can write and compose as good as, and better than, most. 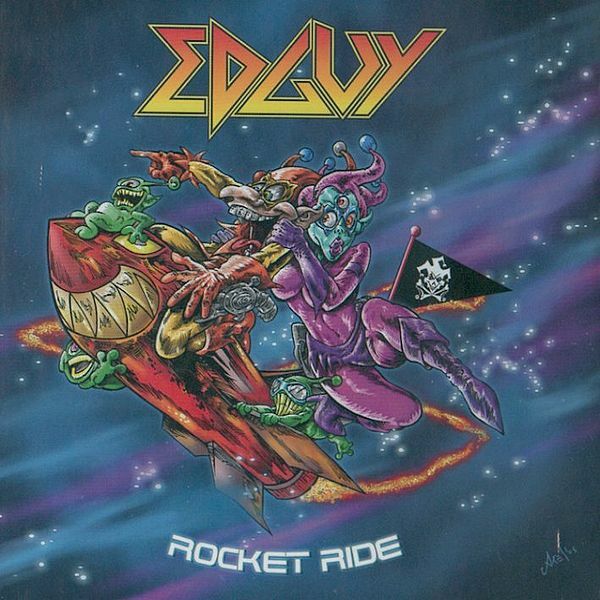 Edguy has always struck me as a band that would have been huge had they been around in the 1980’s. There music, while even when trying for a darker sound, is fairly upbeat. Like fellow German rockers, Scorpions, Edguy has an Americanized sound. 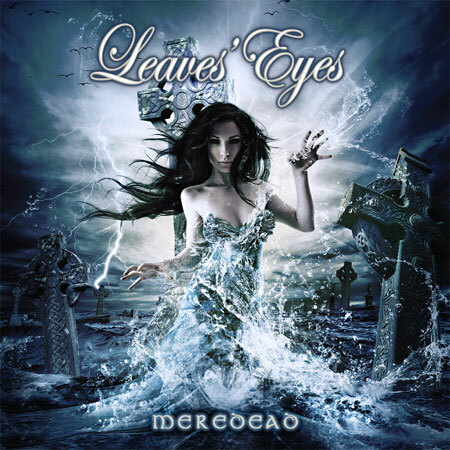 Even their earlier PowerMetal releases had this element underlying within the music. 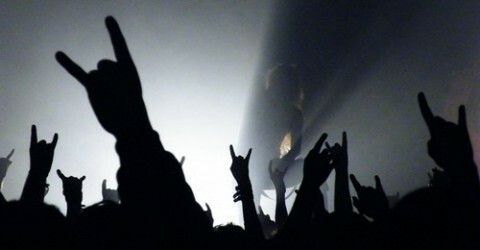 Their are PowerMetal fans who like nothing but PowerMetal. Any straying from the distinct sound is reason enough to ex-communicate themselves from the band and decry them as sellouts – but true Edguy fans know that Edguy are not sellouts. Hell, they didn’t even buy in. What they are is a group of guys who like their music to be fun and they want you to have fun listening to it. Then again, Within Temptation has dramatically changed their sound too and people are loving it. So why not give Edguy credit for having the cajones to alienate their fans rather than making Mandrake part II. As far as Rocket Ride is concerned… Yeah, it’s ultra cheesy at times and there is nothing, musically, new being done here either, but give it a chance to grow on you. If anything, put it on at a party and just let go and have a damn good time. I don’t believe this has been released in the U.S. or the rest of America (North, Central, or South). I got my copy by ordering from overseas. I paid a lot for shipping but I had to have this edition of Poetry For The Poisoned because it has the last recorded live performance of Roy Khantatat before he actually quit the band. As far as the initial album, Poetry For The Poisoned, all the song/track listing is the same but that this is a European release and it includes the European bonus track, Where The Wild Roses Grow, a cover song originally recorded by Nick Cave – it features vocalist Chanty Loch from German PopRock band, Fräulein Wunder, singing with Roy Khan. Poetry For The Poisoned had not yet been released when this show was recorded a month earlier, August 6th, 2010. A few things stand out about this show. It was Roy‘s last show before telling the band he was quitting. Roy is cussing/cursing/using foul language, whatever you want to call it and he’s using it alot. 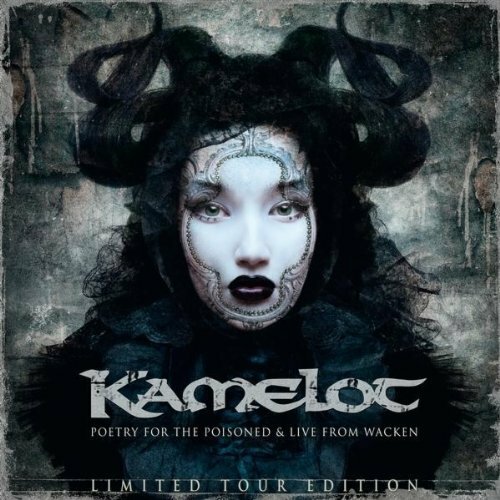 All one has to do is listen to prior live recordings, or, if you’ve seen Kamelot perform live (I did on the Black Halo tour with Epica opening. Met Roy too. He was a gentleman through and through) you will know by comparison that Khan seems stressed. Putting it all aside, Kamelot lost an exceptional vocalist who was beloved by their fans and I am sure that any live recording with Roy, be it legit or bootlegged, will be sought after by fans and collectors. I know that already The Expedition has went up in price (even used copies). This is not a metal album in any way. It is Tarja‘s first solo album after her tenure in Nightwish was revoked (she was unceremoniously and publicly dumped). The version I own is the original 2006 release. It was re-released in at the end of 2010 with a different track-listing. With the background Tarja has in classical singing, it is no surprise that she made an album geared more toward vocals and words than music. But then, let’s face the truth; without Nightwish, when you go to hear Tarja perform live, the music playing in the background is incidental. It is all about that beautiful voice. With the exception of the first song, “Kuin Henkäys Ikuisuutta“, this is a CD full of holiday/Christmas songs written and previously recorded by other musicians. I cannot say, but for one song, whether or not they have some personal meaning in Tarja‘s life. The song “You Would Have Loved This“, originally written and performed by American folk-singer, Cori Conners, is performed here as a reflection and tribute to Tarja‘s mother, who passed away in 2003. It is a very good, and moving version of the song. For anyone who is a fan of Tarja‘s, or a fan of excellent vocal abilities, both the original and new release of this album are must haves. My own mother was half Italian, half Ojibway (Chippewa) and I grew up listening to Opera like Enrico Caruso singing Ave Maria. Tarja performs the song on this album and upon first hearing it I stopped doing anything and listened and remembered my own mother. What I am getting at is Tarja‘s singing on this album is very beautiful. So beautiful I believe even angel’s stop and listen when it is being played. It is not metal but that is okay; it is still music sung by the true First Lady of Metal. Again, it is a Christmas album. Tarja has stated she is Lutheran, as are many from Finland (Soumi). In December, Tarja does Christmas performances of these songs at churches in Finland. The shows are always sold out. * Magnificat was written by Johann Sebastian Bach for orchestra, choir, and vocal soloists. The words are The Canticle of Mary from The Gospel of Luke. The song is the second Aria from Magnificat entitled: Quia respexit humilitatem.